Pitman Training Centre Dundalk runs full-time, part-time and flexi-study courses, which prepare and educate students for their chosen industry. Build your confidence and enhance your skills with Pitman Training today! The Dundalk training centre is small and conveys a friendly and supportive atmosphere that allows students the well-being and concentration to focus on their studies. There are no rigorous class schedules or filters to distract students from their primary goal. Pitman works around its students schedules in order to provide them the training they need for the workplace. The Training Centre also offers CV assessment so students can gain perspective while learning. 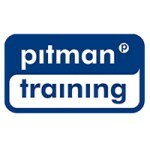 Every Pitman Training course is designed to provide the knowledge and experience that employers are looking for. Open six days a week, Pitman Training allows its students to train anytime that suits them.